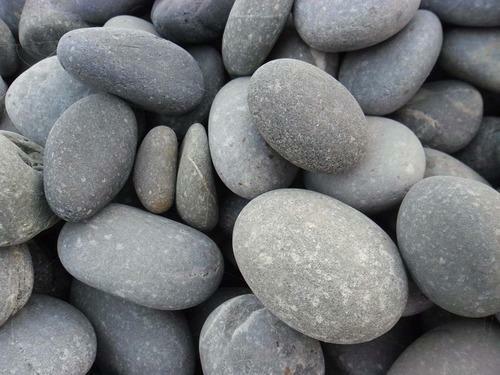 I started by finding an image of pebbles which pleased me and printed it out using my laser printer. The image isn't perfect as the toner is on the verge of needing replacing. I added the image to a piece of mixed media card (18.5cm x 19.5cm) and trimmed it all round. As you can see, the image wasn't quite large enough and a white space was left at the top and bottom of the page. Using Amsterdam acrylic paint in Lamp Black, Neutral Grey and some Pebeo DecoCreme in Mine I blended a variety of shades of grey together. I used an angled brush and a stippling brush to extend the images at the top and bottom of the page. Once happy, I sealed the large pebble in the foreground with Distress Matte Collage Medium and dried it thoroughly. Several shades of green Big Brush markers (Faber-Castell) were then blended over the pebble to colour it and make it stand out (Light Green, May Green and Cobalt Green). I cut out a flower from the Botanical Tissue Paper (Tim Holtz) and added it to the coloured pebble, sealing once again with Distress Collage Medium and drying the image thoroughly. The flower was coloured using more of the Big Brush Markers (Crimson, Pink Carmine and Pale Geranium Lake), blending out the various shades using a cotton bud (Q Tip). It only remained to stamp the sentiment from Linda's Peacock Feathers (Claritystamp) in Onyx Black Versamark ink and heat emboss it in clear EP. I deliberately kept the page monotone except for the decorated pebble to fit in with the sentiment.